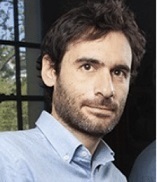 Giandomenico Iannetti is Professor of Neuroscience at University College London (UCL) and Principal Investigator at the Istituto Italiano di Tecnologia (IIT). He leads a multidisciplinary research group (www.iannettilab.net) working on sensorimotor neuroscience in humans and rodents. After a PhD from the University of Rome “La Sapienza” (2003) and a post doc at the University of Oxford (2003-2006), in 2006 he was awarded a Royal Society University Fellowship, which he started at the Univeristy of Oxford. In 2009 he moved to University College London (UCL), where in 2014 was appointed Full Professor of Neuroscience. His research is funded by programme grants of the Wellcome Trust, European Research Council and Medical Research Council. Neuroimaging and neurophysiological studies in humans have shown that transient nociceptive stimuli causing pain elicit responses in an extensive network of cortical structures. This network, often referred to as the “pain matrix”, has been assumed to specifically reflect nociceptive processing, and extensively used in the past 30 years to gain knowledge about the cortical mechanisms underlying nociception and pain perception in humans. In the first part of this talk I will provide evidence that, in contrast with this dominant view, these brain responses are not specific for the perception of pain. These results indicate that it is incorrect to refer to these responses as originating from a “pain matrix”, and question the appropriateness of relying on them to infer that an individual is in pain, or to build models of where and how nociceptive input is processed in the human brain to generate painful percepts. Instead, I will suggest that the largest part of these brain responses reflect a basic mechanism through which the individual detects, reorients attention and reacts to behaviourally-relevant sensory events, regardless of the sensory channel conveying this information. In the second part of this talk I will provide evidence that these brain responses are sensitive to changes in the location of environmental threats with respect to the body, and are related to the execution of defensive movements aimed to protect the body from threats in the sensory environment. I will finally show that the dependence of such responses on the position of threatening stimuli in space supports the existence of a part of space surrounding the body (a defensive peripersonal space, DPPS) representing a safety margin advantageous for survival.